The Bay of Fundy is one of the Marine Wonders of the World with tides rising as much as 16.3m (53 vertical feet) over a 12-hour period twice each day. 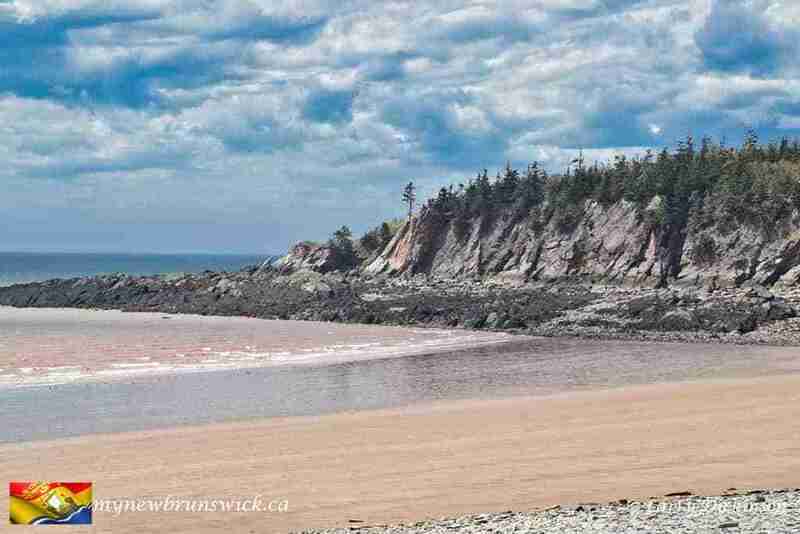 Cape Enrage is so named for the turbulent waters that pass over the reef which continues southward from the island for nearly a kilometer at low tide and the rough seas can be seen for much farther on windy days as the current and wind are in opposition. 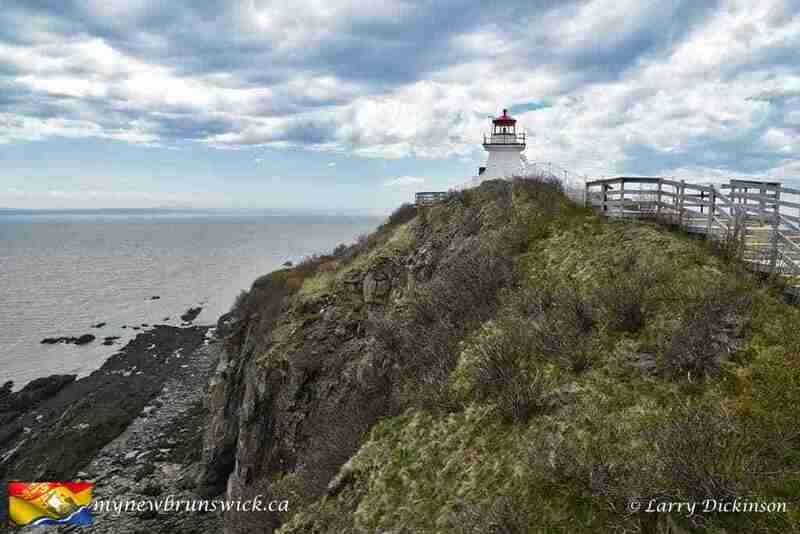 It is one of the most hazardous areas for mariners in the upper Bay of Fundy. In the 1800’s, there was much shipping passing by Cape Enrage en route to The Bend (Moncton), the Petitcodiac River, Cumberland Basin, Grindstone, Rockport and other settlements on the Shepody Bay. Both ship building and stone quarrying were important industries in the upper part of the Bay of Fundy during that time. Barges carrying gravel to Moncton from Waterside Beach continued well into the 1900’s. 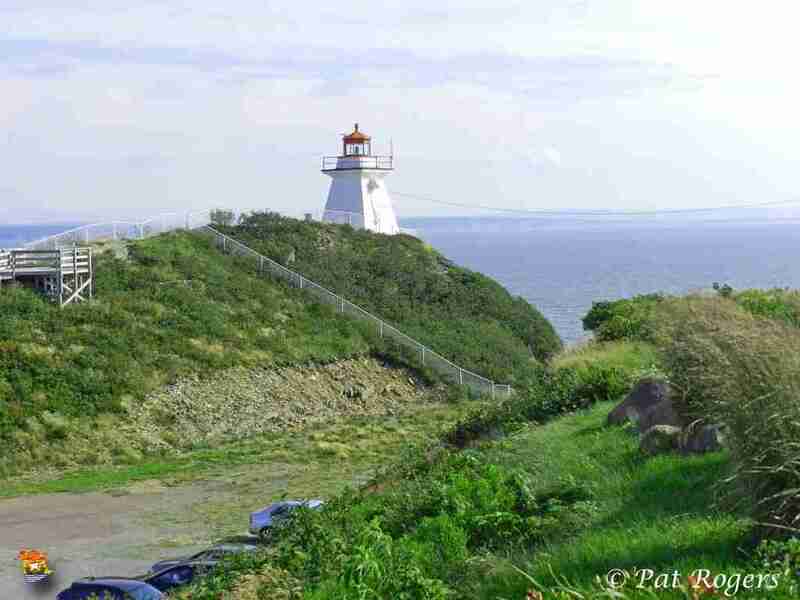 Many shipwrecks occurred at Cape Enrage and at Grindstone Island where a lighthouse was constructed in 1886. 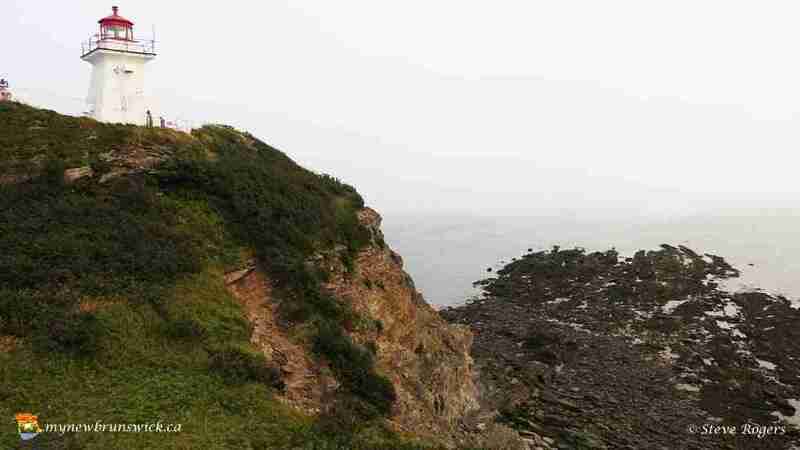 The Grindstone Island lighthouse was decommissioned in 2000; its last keeper, Wainwright Weston (Pappy Weston) lived on Route 915 at New Horton for many years thereafter. 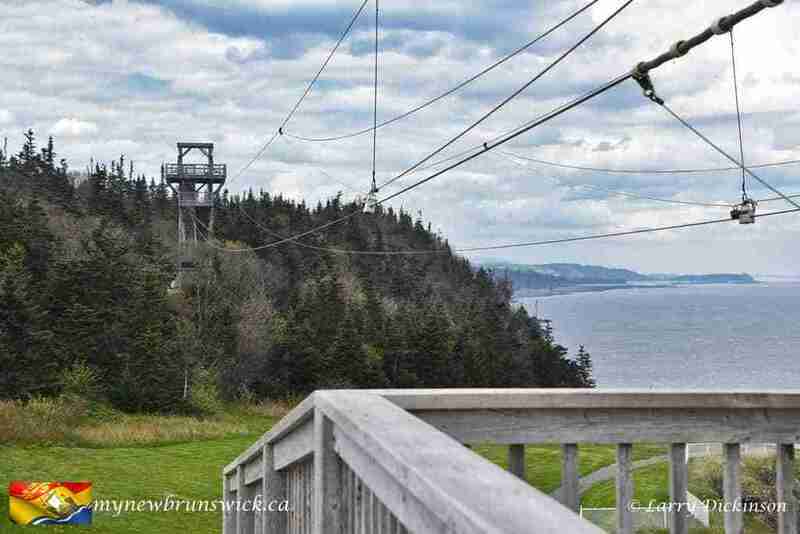 Along with its natural beauty, Cape Enrage also offers family-friendly adventures: the 183-metre (600 foot) zip line, the 46-metre (150 foot) rappel wall, or grab a group of six and try the 18-metre (60 foot) natural rock climbing wall! 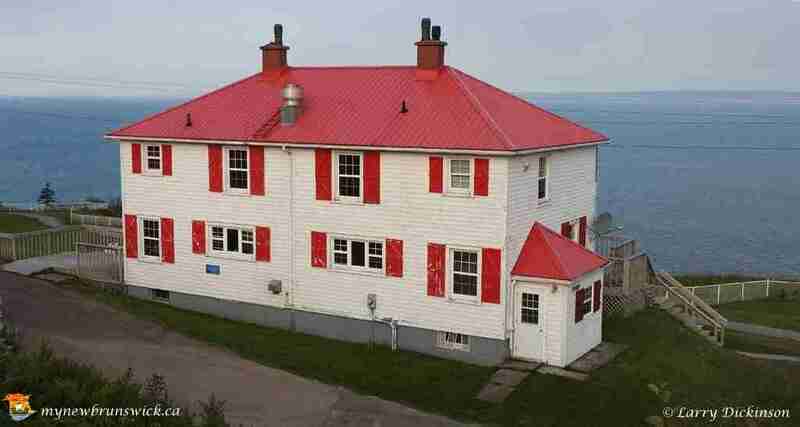 Cape House Restaurant Look out over the magnificent Bay of Fundy from the dining room or the deck (weather permitting!) of the historic Cape House. Savour the view and the selection of lunch or dinner dishes from the Cape House kitchen. The Cape House Restaurant features a selection of beers and wines for your enjoyment. A children’s menu is also offered. Visit the Gallery at the Cape Shop for a variety of treasures in one of North America’s most visually stunning locations. 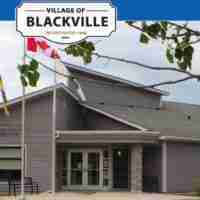 The Gallery at the Cape features a great selection of works by local artists and artisans; paintings, carvings, glass work or the cherished “Rockies” that have been popular at Cape Enrage for years.